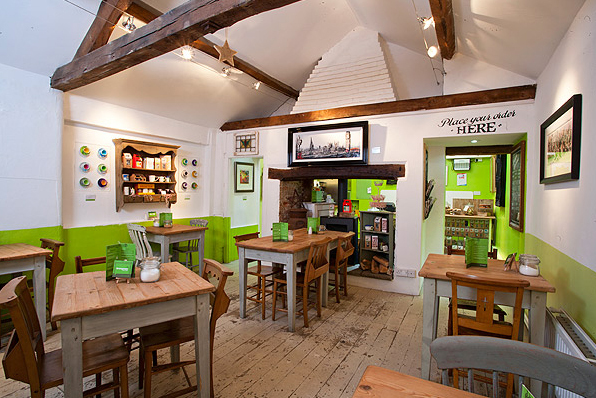 Instead of us just telling you how good we are, we asked real-life user Simon Williams (Evergreen Art Café) to tell us what he thinks of our cloud-based Sage One Accounts with Sage Pay. 1. Hi Simon, could you please give me a brief summary of who you are, the name of your business and what you do? 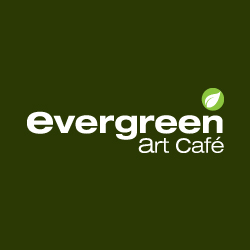 I am Simon Williams, self-employed now for three years and owner of Evergreen Art Café. Prior to this I was a management professional for 10 years. 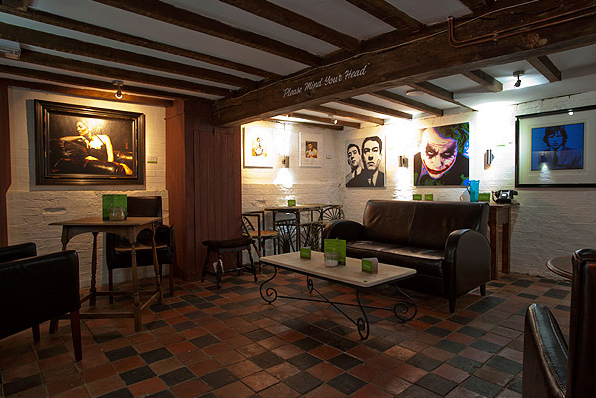 My business is Evergreen Art Café, a gallery which also houses a quality cafe, based in a Grade II listed building in a small market town of Daventry, Northamptonshire. Our building is based over three floors and we have the ethos of making art more accessible (unfortunately our industry can put off more people than it turns on). Because everyone has a piece of art, be that something the kids have produced or a £200,000 original on the wall, we believe that it’s something we can all enjoy and appreciate! My business has the aim of reaching out to every individual who is a potential customer, and not only do we have customers locally, we have customers all over the UK from Edinburgh to Exeter and international customers in Paris, Singapore and Australia. We have been using Sage software since September 2011. My accountant used to handle all processing, etc on Sage Line 50, however Sage One Accounts gives me instant access to reporting and gives me a more hands on feel to the accounts of the business, the ability to access my accounts online allows both myself and my accountant Stuart easy access. Also for a layman like myself, Sage One is easy to grasp and with the help of Stuart, systems and procedures can easily be put into place to take the hassle out of accounting! 4. When did you start using Sage Pay to accept online payments? Why did you choose this service and how does having it linked to Sage One Accounts help you / your business? We introduced Sage Pay with the launch of our updated website in July 2012. Again, it’s easy to use, straightforward and gives both our business and the customer security in handling payments. I have linked it into Sage One Accounts to easily release payments. Be prepared to work hard, weekends and days off are few and far between, be creative constantly looking to change and keep one step ahead of your competition. Most importantly, enjoy it as there’s no more rewarding feeling than working for yourself! All very good but it tells me nothing of the systems and procedures used to get to grips with Sage one. I have found it highly confusing and have spent many weeks putting information in from all the accounts to end up with possibly having to scrap it all and start again. Hi Palmbay, as I’ve just replied to another of your comments just now, I’m sorry to hear that you’re having problems using Sage One and finding the help you need. I’ve asked my colleagues in the Sage One Customer Support Team to give you a call to talk through everything and get you set up. Thanks Paul (Lancaster). bank straight into the account, and only when it shows on your real bank statement. This is important as it ensures your Sage one account shows the same end balance as the real bank account. out, the balance will remain unchanged and the sales figure will be realistic for the accountant. together, ie my personal Visa, my daughters HSBC, my HSBC account etc etc. This will help the accountant later on. Once done, a separate account should be made called PETTY CASH. Dump each and every one of these receipts into this account, yes, it will continue to show a negative balance, but won’t affect the main account balance. Once this is accounted for, just wait. Once the business picks up and money is tumbling in, then take the cash from the business account literally by the cash point machine using the account debit card, and when it shows on the bank account statement, do a money transfer from main account to Petty Cash account putting the cash point withdrawal down as referral. This then shows on Sage one as adding money to the petty cash, which brings the balance towards zero, and as a transfer from main to petty cash, which is exactly what has happened. 4. Only bank exactly the amount showing on the end of day till printout, putting tips etc into the account just complicates matters by showing money going in but fails to show where from as not enough sales have been made to account for it. possible until showing on the bank statement online. Once you get confident, you can put these in as and when written, but in the early stages forget it as the bank and Sage One balances will not tally. 6. Make a separate account for each category of expenditure and record money to and from from the main current account, again, when it shows on your bank statement online. This is the way I made this system work, I am no accountant or book keeper. This is very powerful position, as I can now go into different areas such as profit and loss statements, trial balances from any date etc, and see the true state of the company. I really hope it helps someone, as I could have done with something like this, as an example, when I first started up. Everyone runs their accounts how they want, that is fine, as long as you understand it, and it all balances out ok.
Hi Paul, please see my reply above.